This post is sponsored by Edward & Sons Trading Company, Inc. 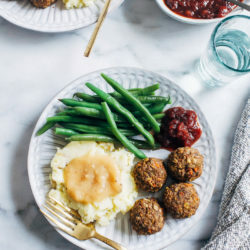 If you’re looking for an incredible plant-based main to serve for Thanksgiving, look no further! 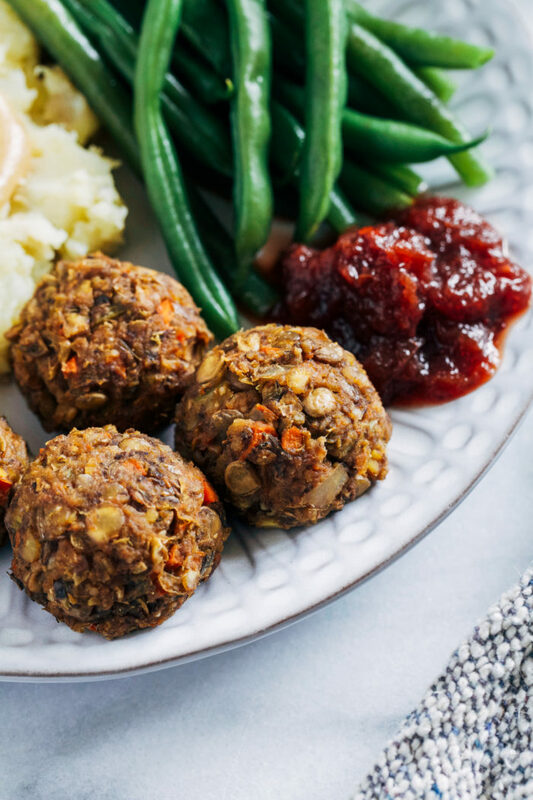 These vegan ‘meatballs’ are made with wholesome and filling ingredients, and are packed full of savory flavor. They’ll easily put any of those frozen faux roasts to shame. 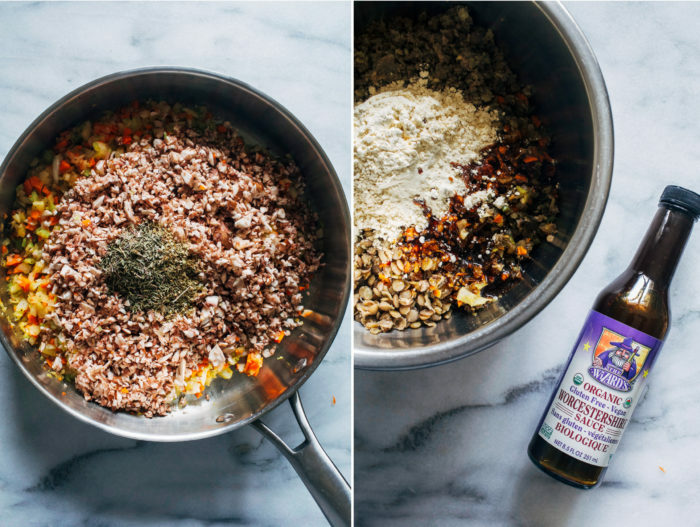 One of the key components that gives them their irresistible umami flavor is the Organic Gluten-free Vegan Worcestershire sauce from Edwards & Sons Trading Company. 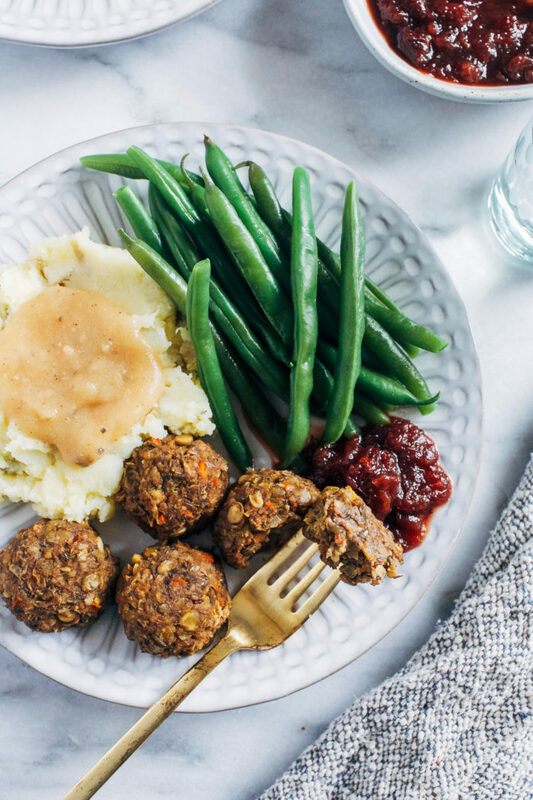 I was actually in the process of testing a few variations of the ‘meatballs’ when Edwards & Sons reached out to me and ask if I’d like to experiment with some of their products for Thanksgiving. 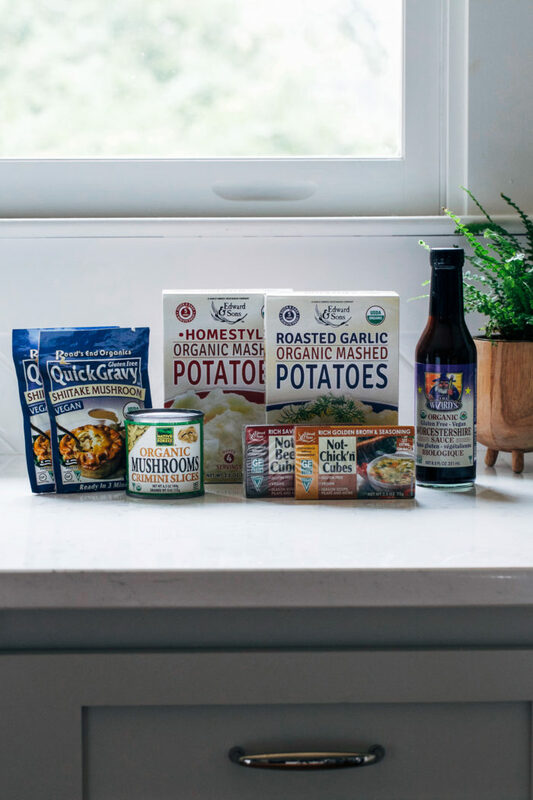 Being a a huge fan of their products, it automatically seemed like a no-brainer but once I learned more about their mission as a vegetarian company to support organic and sustainable farming methods, I knew it was the perfect fit. Adding their Vegan Worcestershire to the recipe instantly took the ‘meatballs’ from meh to WOW. The unique blend of ingredients gave them just the right amount of tangy, smoky flavor that I was looking for. I also used the Not-Beef Bouillon Cubes to cook the lentils along with the Shiitake Mushroom Quick Gravy on the side and they amped up the flavor even more. 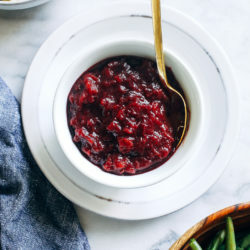 They have so many great products that can help make your holiday cooking more convenient without compromising the integrity of the ingredients. Edward & Sons has also been kind enough to offer you guys a chance to win a supply of Thanksgiving goodies for you to use at home! Make sure to head over to Instagram to enter to win! Now, about the balls. They might be somewhat time consuming but I promise they are worth it. They can also be prepped ahead and cooked or reheated the day of making them perfect for the holidays. They’re based off of my Mushroom Lentil Loaf, however I wanted to make a version that didn’t require any grains or nuts. Shaping them into balls rather than a loaf helps give them structure, while using chickpea flour and ground sunflower seeds helps bind the ingredients and adds texture. 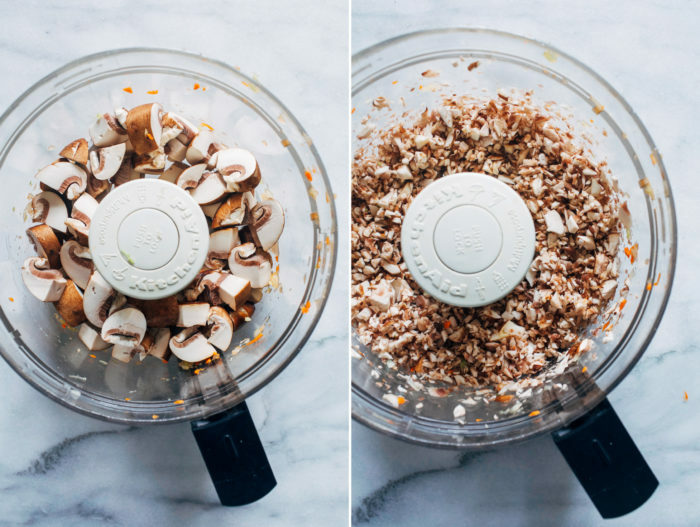 On the topic of texture, a food processor is key to getting the vegetables finely chopped and the sunflower seeds ground to a fine crumb. You might be able to achieve similar results with a blender or chopping them by hand but I recommend using a food processor for the best possible outcome. If you try these please let me know how they came out! We think they’re phenomenal and I hope you enjoy them as much as we do! In a pot, bring 2 and 1/2 cups broth to a boil. Add lentils, reduce to a simmer, cover and cook for about 30 minutes, or until soft and most of the liquid has been absorbed. Drain excess liquid then set aside. 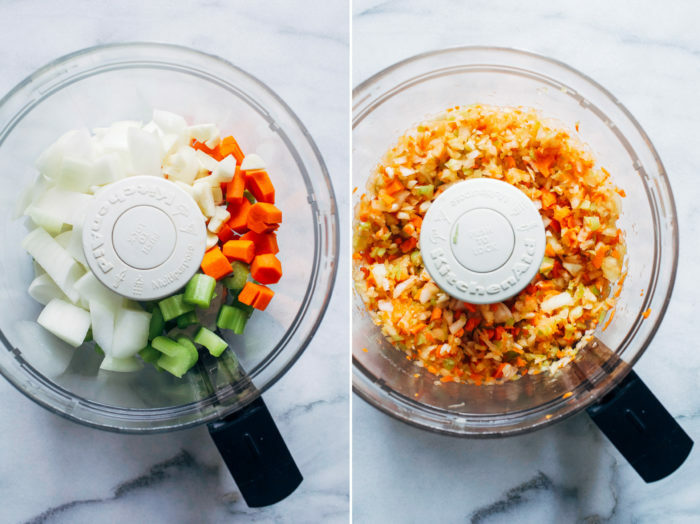 Using a food processor, finely chop the onion, celery, carrots, and garlic. 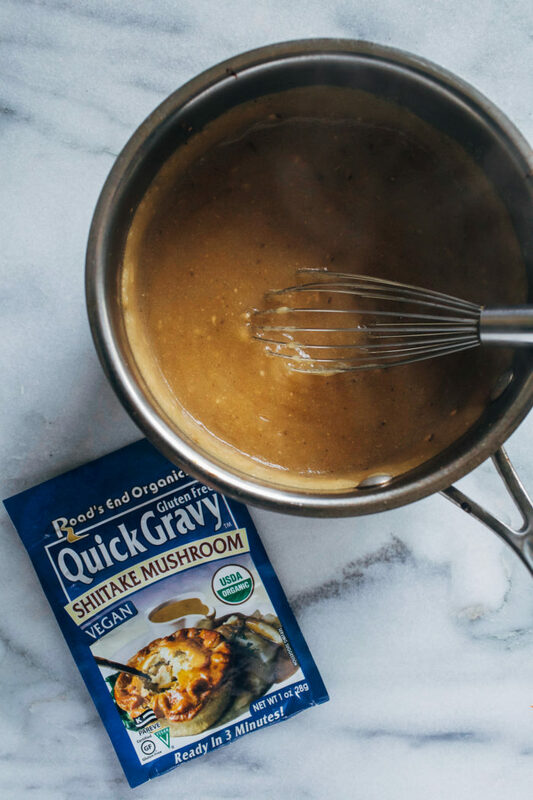 In a large skillet over medium heat, warm 2 tablespoons olive oil. 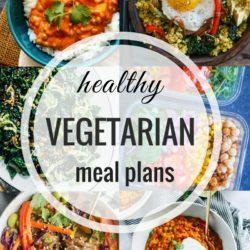 Add the vegetables to the skillet. Cook for 5 minutes, until onion is translucent. Meanwhile, finely chop the mushrooms in the processor then add to the skillet with the salt & pepper, thyme and sage. Continue to cook for 7 to 10 minutes, until mushrooms have released their liquid and vegetables are tender. Set aside to cool. Using the food processor, add 1 cup of the cooked lentils and pulse for 5 seconds, just until finely chopped. We’re looking for a chunky texture, not mushy. 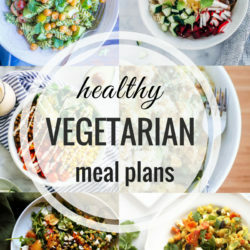 Transfer all of the lentils (unprocessed and processed) to a large bowl along with the cooked vegetables. Next, process the sunflower seeds to a crumb-like texture. To the bowl, add the worcestershire sauce and sunflower seeds. Stir to combine. Add the chickpea flour and stir until mixed well. Place the bowl in the refrigerator and allow the mixture to set while you preheat the oven. Preheat the oven to 400°F and line a baking sheet with parchment paper or a silicone mat. Once mixture has cooled, use a spoon or ice cream scoop to scoop out about 1-2 tablespoons of the mixture at a time. Roll into balls and arrange on the baking sheet at least an inch or two apart. Bake in the oven for 20 minutes, until firm. Allow to cool for at least 5 minutes before serving. Serve warm and enjoy! 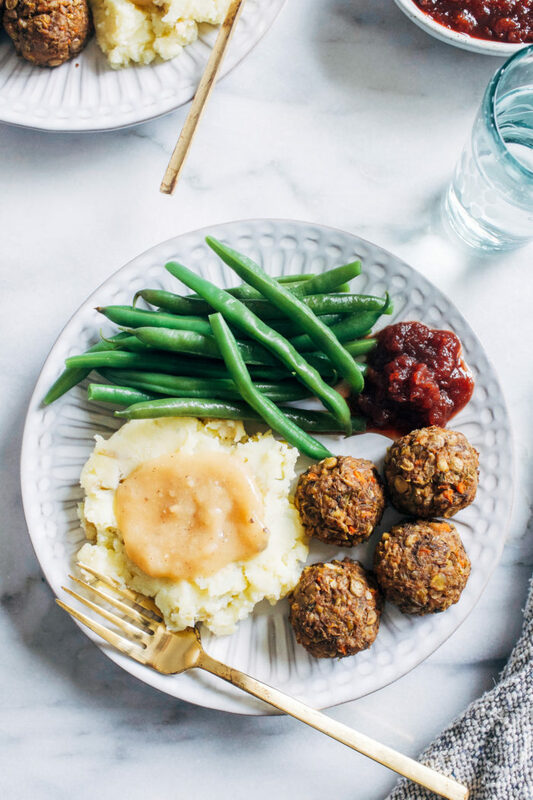 These meatballs are so full of delicious ingredients that I for one wouldn’t miss the meat at all! 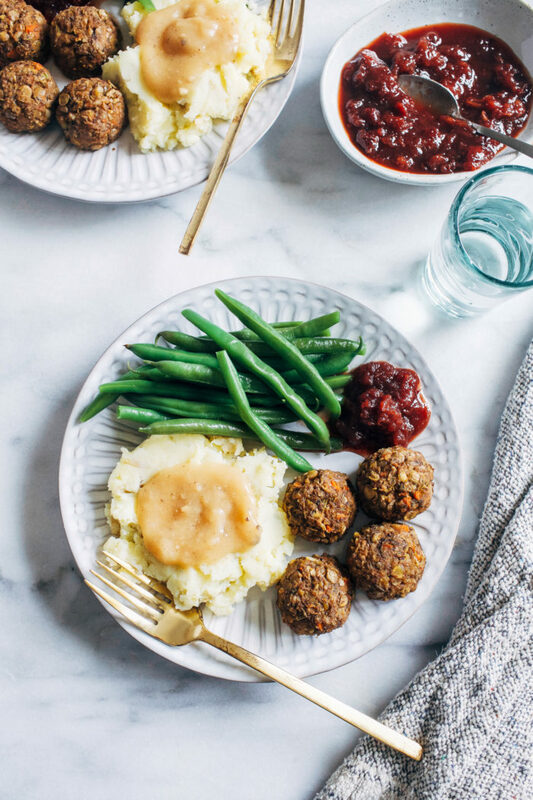 This entire meal looks perfect for Thanksgiving dinner! What would you suggest using as a replacement for the mushrooms?? I’d love to make these but my husband is a mushroom hater. Thanks! Oh that’s a tough one! They are such a big part of what gives the recipe a meaty texture. 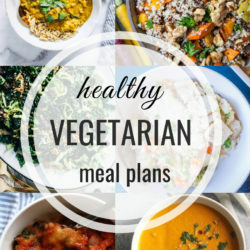 I don’t think I can recommend anything else for this recipe but you might be able to modify this recipe: http://makingthymeforhealth.com/vegan-mediterranean-chickpea-meatballs/ to make something similar! 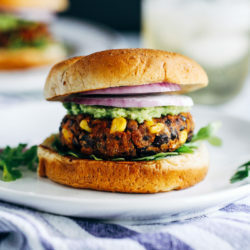 These look super delicious Sarah! Definitely need to get my hands on some Vegan Worcestershire!! Thank you so much for posting this! I was just starting to think about what I’ll bring as my Thanksgiving meal “alternative.” These look perfect and sound delicious! 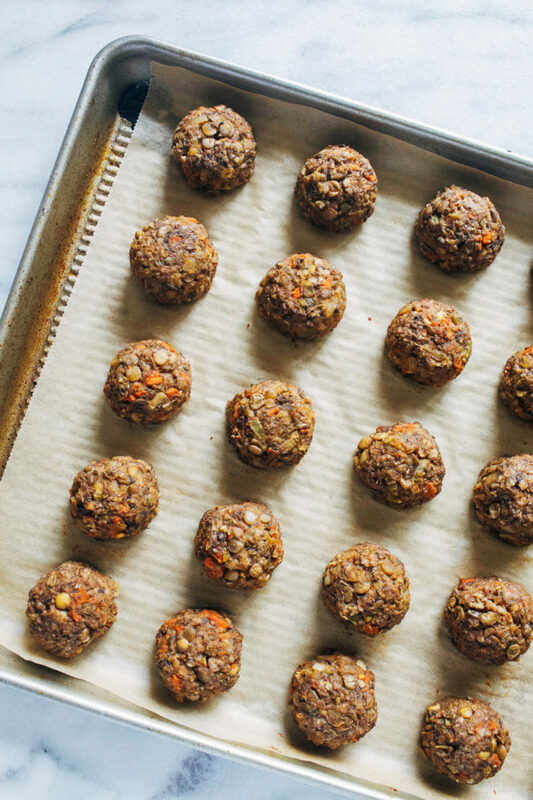 Can these be made ahead of time and then put in the freezer? Do you think regular flour would work in place of chickpea flour? I think so but I didn’t test them that way. If you want to serve them for the holidays I would recommend doing a test run first. 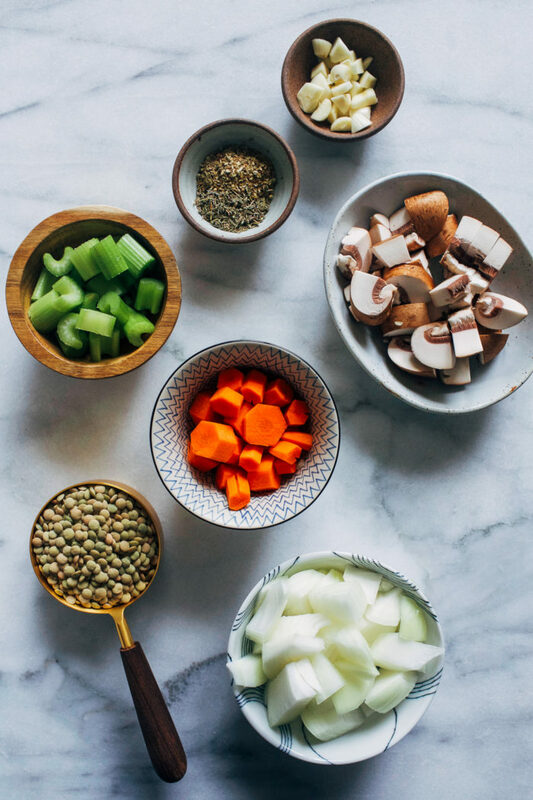 Could you just use canned brown lentils for a quicker version? Thanks! That should work the same! I was thinking of making these and have a question: the ingredient lists calls for 2.5 cups of broth, but the directions use 1.5 cups and I don’t see where I’d add the other cup? That’s supposed to be 2.5 cups in the directions! Sorry about that. Very yummy!! Mine were a little mushy but taste awesome! Thanks for the recipe!